I use human-centered design to create experiences people love, knowing that happy customers help businesses to thrive. My background in sales, marketing, and management gives me a unique perspective as a designer, understanding how design decisions can impact a company as well as the end user. It’s why I make sure that all stakeholders have a seat at the table. Let’s work together and make something great! From a high level, my process is humanity-centered design. This method expands on human-centered design, where the only concern is empathy for the user, and extends further. I instead try to think of how my design decisions will affect the system as a whole and what long reaching consequences they might have. From a tactical level, my process is best described by the LitheSpeed design method. Once I have a grounding in user needs and behaviors, I move quickly into prototyping, testing, and iteration. I strongly believe that rapid, and frequent prototyping is the best way to learn and develop a quality solution. 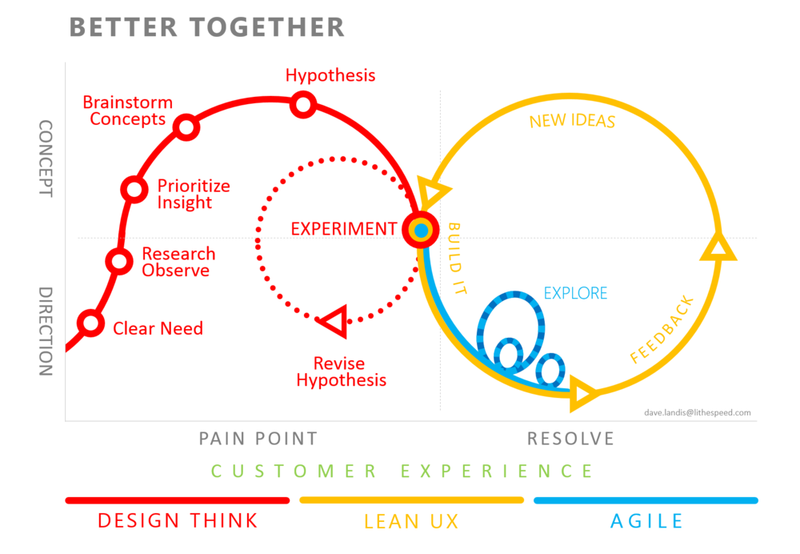 The LitheSpeed method is also the best way I've found to collaborate with teams using agile development cycles. When illustrated, it's a bit more complex looking than the classic double diamond, but I think it's an update that's needed to practice design effectively in today's environment.